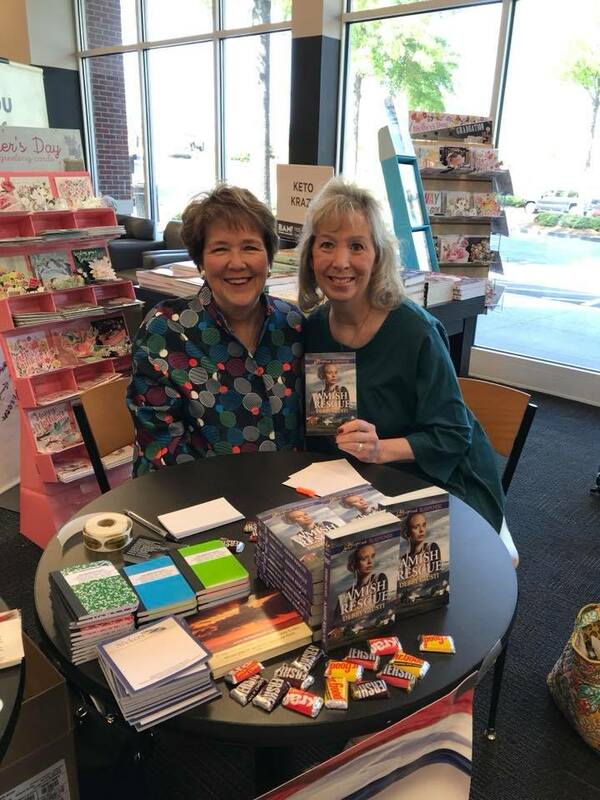 Ruth Logan Herne offered a copy of "SWEPT AWAY", her newest Guideposts mystery last weekend while she was traveling around NJ, PA and NY... the winner is Jackie Smith! Congratulations, Jackie!!! 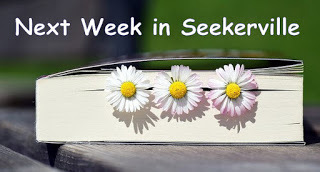 Wednesday: Publishers Weekly Bestselling Author Debby Giusti shared photos and info about her favorite writer vaca location and talked about those little getaways that provide research as well as a bit of R&R in a blog titled "Getaways that Prime the Writer's Well!" The winner in a drawing for AMISH RESCUE, the third book in Debby's Amish Protectors series, plus a 2018 Daily Planner is Amber Schamel. Congrats, Amber! Friday: Winnie Griggs shared one of the biggest roadblocks writers face to finishing a book is SNIS or Shiny New Idea Syndrome. If you missed Friday's discussion, it's not too late. Go back and take a peek!! Monday: Sharee Stover is here to ask...Where's Your Cherry Tree? Sharee will be giving away a copy of her DEBUT NOVEL...JUST RELEASED...Her Secret Past!!! Tuesday: Tuesday: Bonus Post! Seeker Erica Vetsch is hosting her good buddy Georgiana Daniels in a face off style interview where YOU get to score the answers! There will be virtual chocolate, virtual confetti, and a chance to win a prize!!! Stop by for some "Good times...good times!" as we celebrate friendship and Georgiana's new release, Shadows of Hope. Wednesday: Melanie Dickerson is our hostess! She continues her series on Conflict and Tension with Part Three, When to Resolve Conflict. She's giving away a copy of the winner's choice of The Huntress of Thornbeck Forest or The Beautiful Pretender. 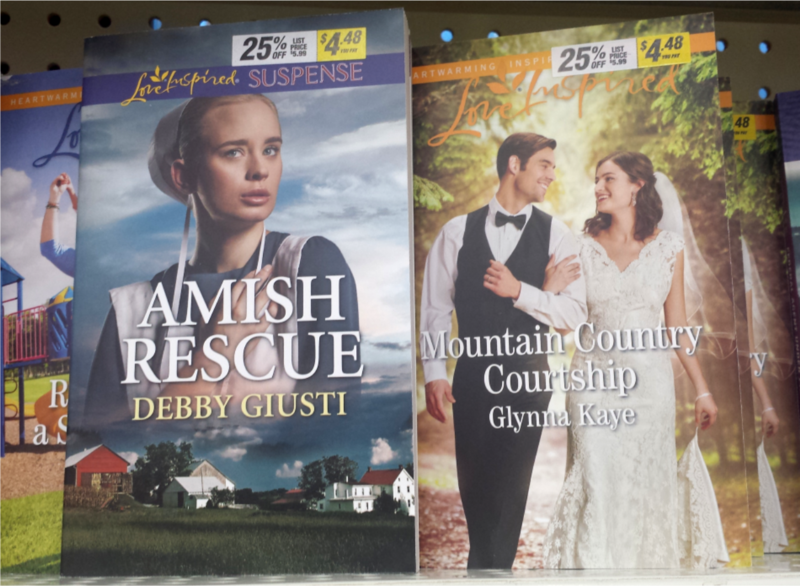 Moutain Country Courtship by Glynna Kaye! 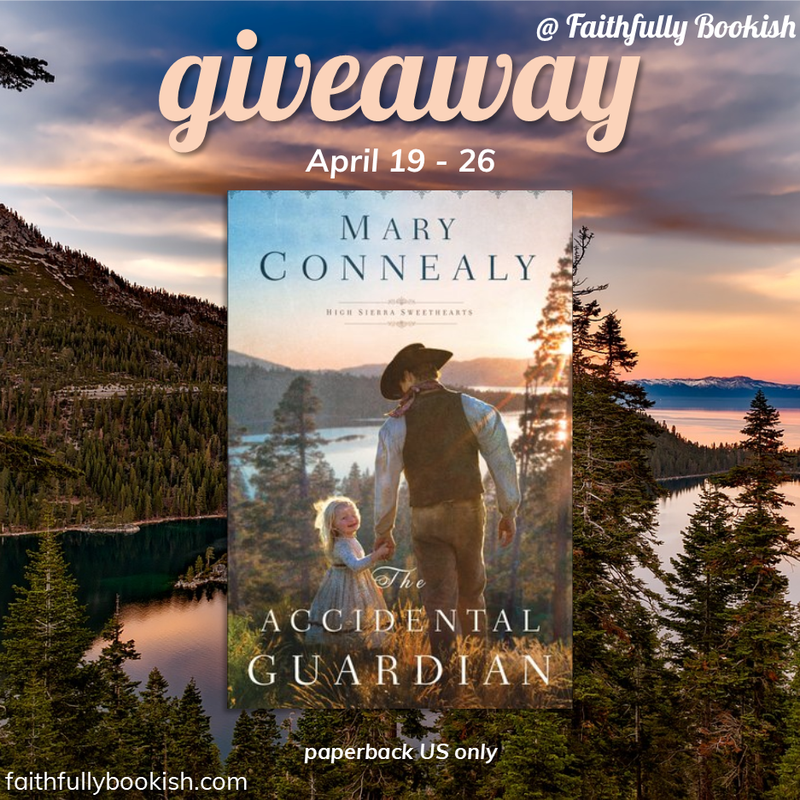 Win a paperback copy of The Accidental Guardian by Mary Connealy on Faithfully Bookish! Ruthy Logan Herne is taking the Christian Fiction Readers Retreat Candid Moments blog series to a whole new level on Monday. 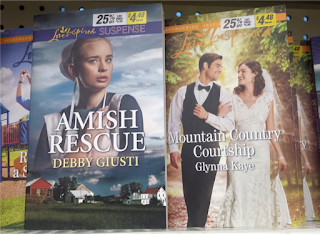 Guess who stopped by Debby Giusti's signing of AMISH RESCUE! Patti Jo Moore, Cat Mom! The two authors took time to pose for a picture! "Thanks, Patti Jo!" says Debby. "Seeing you at the signing made the event even more special. 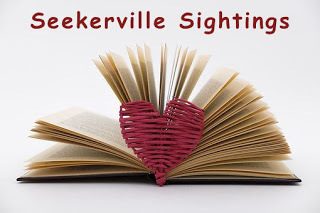 You're a dear friend and a huge supporter of everyone in Seekerville." is on sale for only $1.99 for your e-reader! But get it while you can. It's only for a limited time. For Kindle, for Nook, Kobo, and on Christianbook's website. 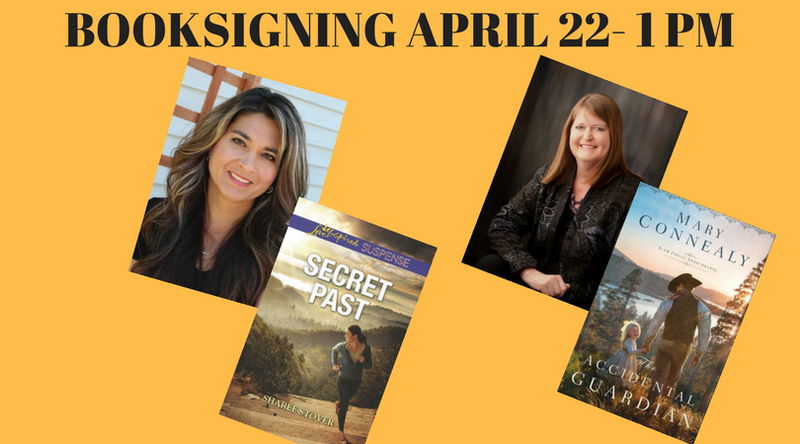 TOMORROW IN SIOUX CITY, IOWA AT THE SOUTHERN HILLS MALL BARNES AND NOBLE--Postponed from last Saturday because of a BLIZZARD. Erica Vetsch was going to do this with us but she heard about the weather and ran!!! Then just REFUSED to drive back. 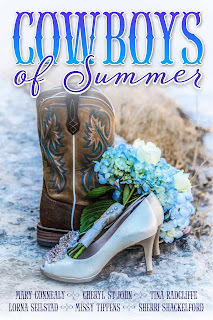 A flurry of blog activity is coming to launch the release of Cowboys of Summer. Thanks to JustRead Tours. What it Takes: Secrets of the Creative Brain by Callie Oettinger at Steven Pressfield's site. 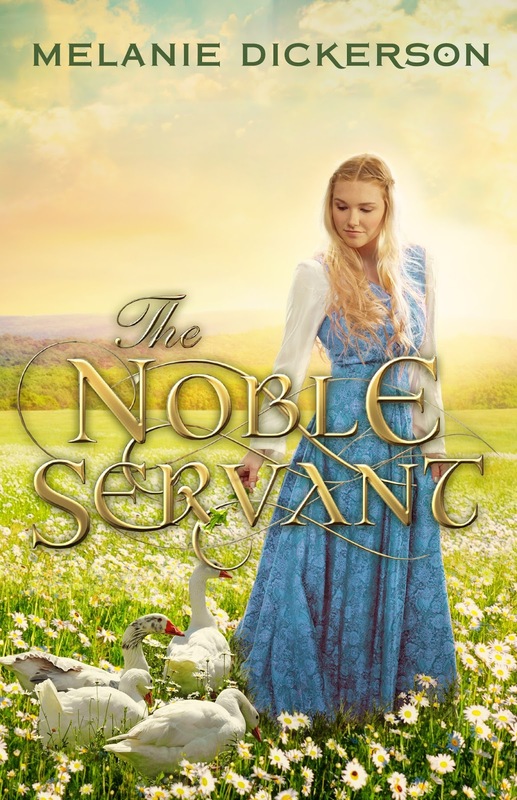 I just got my Kindle copy of "The Noble Servant" at a special low price. This is no short Indy novella but rather a HarperCollins full size novel of 337 pages. That's high praise from the "Queen of Edgy Christian Fiction Kissing!" Now, I don't know about queens but when it comes to fairy-tale romance, no one does it better than Melanie Dickerson. If you haven't read a fairy-tale romance, and they are so creative, then this is a good opportunity to give it a try! I heartily agree, Vince! Melanie's books are wonderful! I agree! I haven't read that one yet but look forward to it! Goooooood morning, Seekerville! I'm still in travel mode, hanging with grandkids and their super fun activities in the "Deep South" where trees have LEAVES. And Dave and I walked to Duke Gardens yesterday to visit the flowers there.... and I got some fun gardening ideas! Oh, the old power saw will be fired up again soon in the land of pumpkin sales! What a fun WE, thank you to everyone who added stuff and/or sent links and pictures. You bless us, every day. And I have to agree with Vince... Melanie, no one does it better, and this isn't to feed that BIG HEAD of yours, but simply sincere praise that your work is wonderful and marvelous... keep on keepin' on! I'm off to watch Boy Wonder play tennis.... then to a tap dance performance tonight. And there will be plenty of coffee along the way. Enjoy your weekend of writing and working and playing, my friends... I'm heading back north tomorrow because yes... Monday always comes! And aren't we blessed to live in a land where Monday is pretty much a guarantee???? Ruthy, we love Duke Gardens!! I'm so glad you've had some nice weather and seeing a little green! "Where trees have leaves?" It seems to me that on my drive from Mobile to Tupelo all I saw were pine trees! Mile after mile: pine trees. I know there are other trees in the south but some times you can't see them. Oh how nice it would have been if some of the pines could have been Magnolia trees. I think this is Pam country. I wonder what she would have to say. Yankees 10-9? That does not make sense to me! Good Morning! Congratulations to all the winners! Yesterday began the journey of moving out of the motel back to our home. Eight months in a Super 8 has been challenging. Whew! I would say living in a motel for eight months is more than challenging! So glad you're at the end of the sojourn! I'm so happy you can finally start moving back home, Caryl! Caryl, I'm so glad!! I hope you get to enjoy your home asap. Sounds like a story that needs to be written, Caryl! Welcome home! Yikes! Glad you're back home, Caryl. YAY I am so thrilled to win Ruthy's book!! Congrats to all the winners! Caryl, blessings as you make that move; I so admire your courage! Congratulations to the winners and I wish everyone a great weekend. The sun is shining this morning in Kentucky! And Caryl Kane, I am so happy that you can return to your home. Blessings! The sun is shining in the Black Hills, too! I'd love to play today, but I'll be writing all day long. Congratulations to the winners! I'm keeping this quick, because Hubs gave me the morning to go and write. I took a quick break to say hello. It's been a crazy few weeks in the Takenaka home and I haven't been around much. 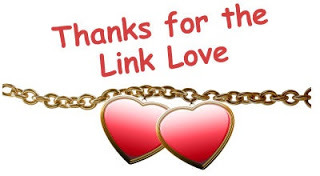 I love all the links and I'm definitely planning to check some out! Beth Erin, you may chuckle, but we have snow today (typical Colorado spring--60's one day, snow the next), and I'm happy! We desperately need the moisture. Okay, I'm back to storyworld. Have a beautiful weekend, everyone! Jeanne, I'm so glad you stopped by during your precious writing time! We're glad to see you! Jeanne, I think I might be ready to give up on my dream of living any farther north. I like warm weather and unfortunately, my prediction was accurate, it is cool and rainy today! Around here we say if you don't like the weather, don't worry, it will be different tomorrow! Happy weekend to all of you!! Happy weekend to all! I was writing for most of the day...30-plus pages. Now I need to take a walk and move my body!!! Love the picture of Patti Jo! So sweet of her to stop by the signing. It's always fun to share special moments with Seekerville friends. Happy Weekend to my Seekerville friends! And Debby Giusti, I LOVED attending your wonderful book signing (with my wind-blown hair, LOL)! As always, you were so gracious and kind, and your table with goodies was very impressive (I'm loving my pink pen I got!). Cannot wait to begin reading your book---it's up next on my TBR stack! Congratulations to all of the winners and happy Sunday, Seekerville! Night School Classical Romance Literature! This week's (30 APR 18) romance short story, "A Romance with Class", is about attending a college romance literature night school class -- in order to meet nice women, men. This story is a perfect example of the type of story WW buys. Those who enjoy this feature should surely check out this issue. If you want to write a story for WW, and make about $1000, this is a good example to go to school on.